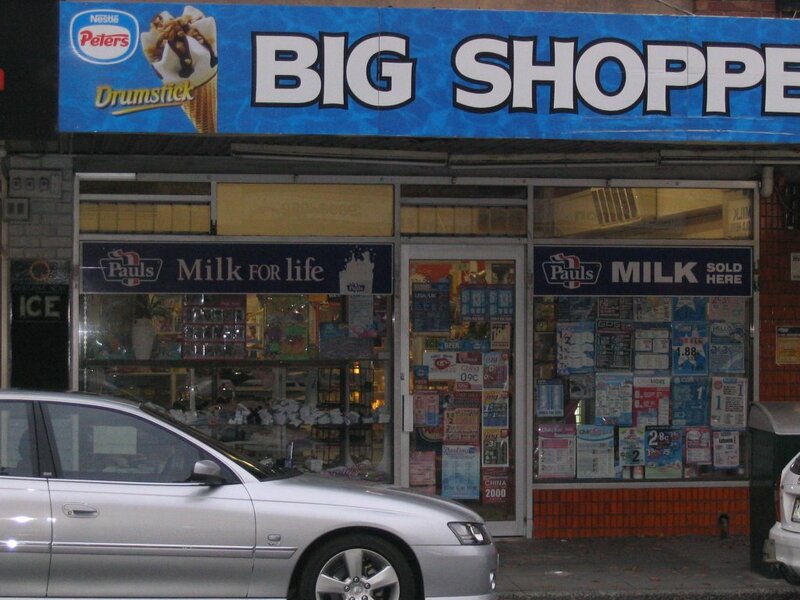 The QBrand QBlog: Another milk bar past its use-by date? 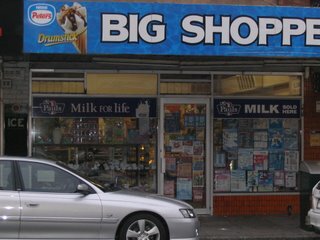 This photo (click on the thumbnail to see in full size) shows a typical example of what I wrote about a few weeks back on the problems with many of Melbourne's milk bars. The bright blue awning only serves to emphasise how desperately unappealing and uninviting is the rest of the shop's facade by contrast (that's socks, undies and cheap toys in the left display window). If I were Nestlé Peters, I'd be asking for my money back - being seen in this sort of setting does nothing positive for the Drumstick brand. But, thankfully, there are some milk bar proprietors who "get it" - watch this space!